Always leading the way in label design software, BarTender 2016 has a fresh update with a host of new features available. The latest version of Seagull’s true Windows printer drivers adds support for more than 100 printers from 21 manufacturers, including Creative, HPRT and Marrison. Version 7.4.1 is available from the driver download page on the Seagull Scientific website. Improved driver installation experience for Bluetooth printers. SATO: Added FeliCa RFID tag type to the CL4NX drivers. TOSHIBA TEC: Added support for AFI and DSFID bytes (RFID EPC Gen2) to the B-EX series. Zebra: Added EPC Gen2 TCP/IP encoding support for the ZXP Series 7 driver. Seagull Scientific has announced the immediate availability of BarTender 2016, the latest version of the world’s most trusted software for creating and automating labels, barcodes, RFID, cards and more. 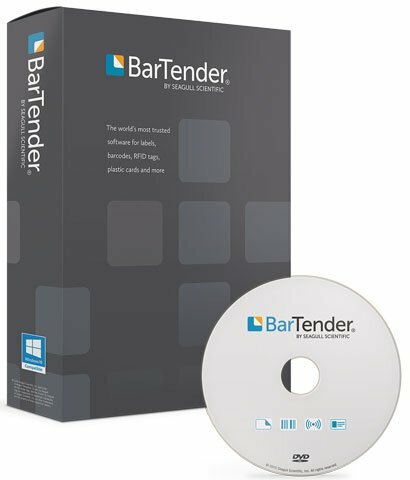 BarTender 2016 introduces new and enhanced capabilities that dramatically improve the design and printing experience for all sizes of businesses and that make it easier than ever to manage and administer enterprise-scale printing operations. New features include the Integration Builder, Print Portal and Administration Console.